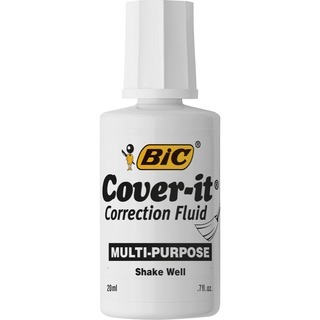 Cover your mistakes with correction fluid. Ideal for home, office or school use. Use correction fluid to make neat, precise corrections. Fast-drying fluid prevents smearing. Correction fluid offers extra coverage for smooth, one-time applications. Multipurpose fluid corrects ink, faxes, copies and more.